to serve our great country. 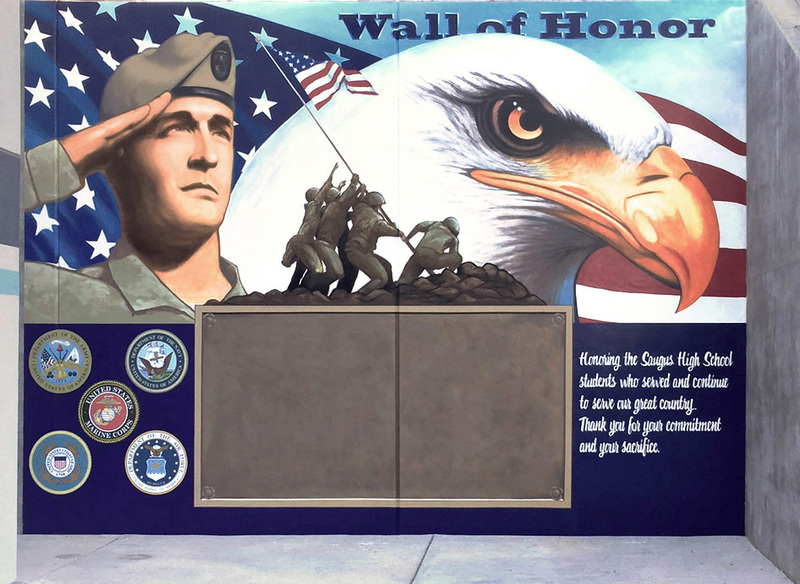 This 'Wall of Honor' Mural was painted in collaboration with the fine folks over at Boss Graphics. Art and Soul Productions has worked with them for years, and we value the contribution they make to our schools and the communities they serve. School Pride: Let it show!